Zee from the Google AdWords Help forum announced a new support feature from the Google AdWords team. You can now share your screen with the Google AdWords support team. Why would you want to do this? Simple. This way the AdWords support rep can show you things on your screen such as how tos, or see what your issues are or even see if you are seeing rendering bugs. How do you activate it? Google has a help document but basically, when you are in the AdWords console, a Google rep can initiate the screen share. 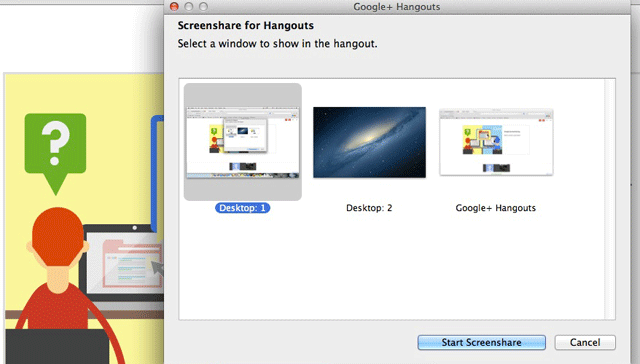 We are excited to let you know about a new high-tech feature called Screensharing. While you're on the phone with an AdWords associate, he or she can invite you to share your screen. It's important that you install this plug-in for the Screensharing to run seamlessly.